Our enormous King Tent is a sight to behold. 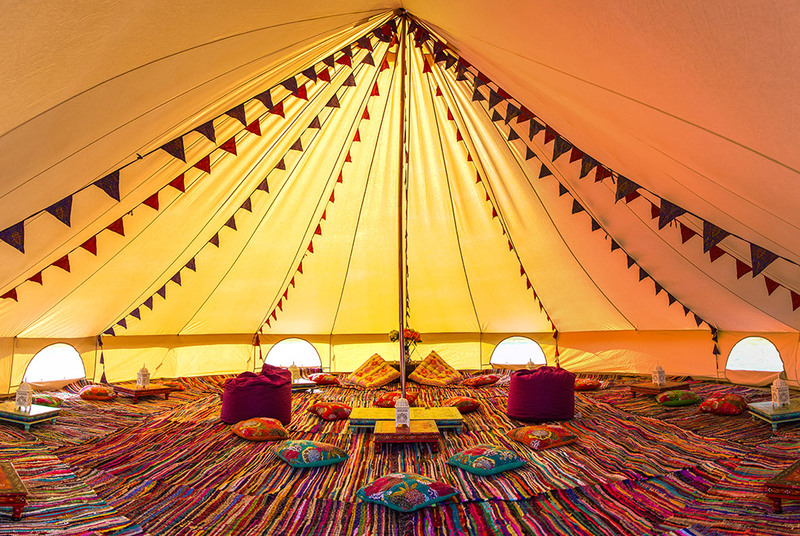 This tent creates the wow factor at any event and would be perfect as a chill out area full of fairy lights and bunting for a perfectly magical feel. The King will sleep 20 people so camping with friends has never been easier or as glamorous! The King has a zipped in ground sheet with the ability to unzip and roll up the sides, perfect for sunny days when you can create a breeze that flows straight through. Our tents are made with 100% natural breathable cotton canvas. The King comes with mosquito nets attached to all doors and windows so that you can have a lovely breeze without the bugs! 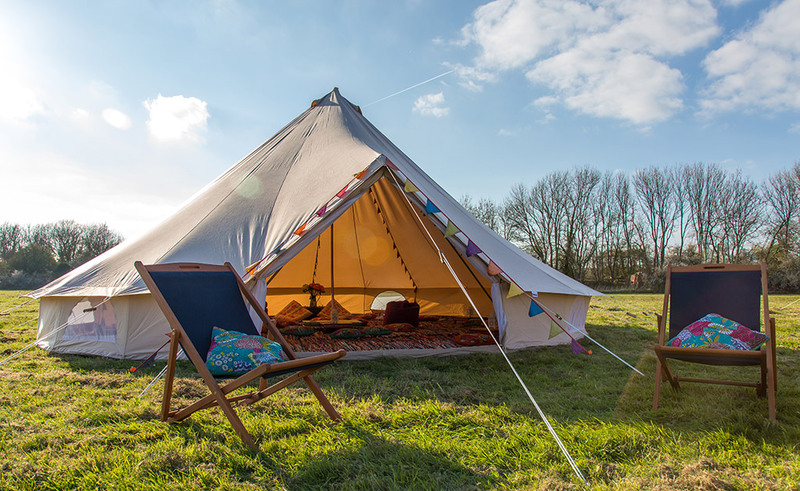 100% natural cotton canvas with waterproof groundsheet connected by a heavy duty zip system. Fully integrated bug mesh secondary entrance door.